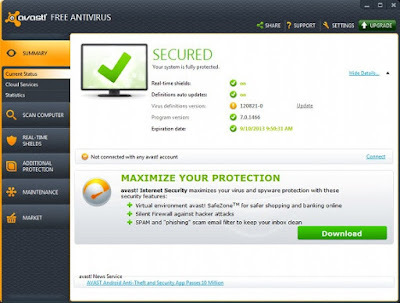 Antivirus is a very serious program for windows users, but it is the first program to install after installing windows. When we first set up antivirus protection, it must be our first job to protect our computer from other programs and internet attacks. We have reviewed the antivirus software that is provided free of charge on the Internet and we have made a list of antivirus software that provides the best performance of free antivirus and also protects our computer. 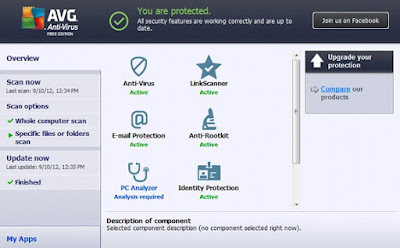 As a free antivirus package, it has more virus capture features and reliability than others. In the full screening test of Europe, the performance is very successful and it completes its screening in about 13 minutes. As for ram consumption in the back area, it is 1.3 MB and it is the lightest and most successful free antivirus application. 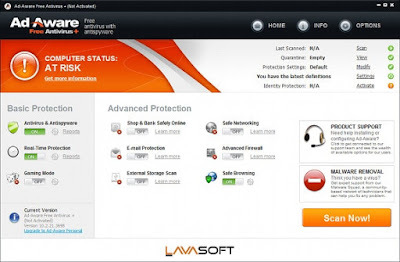 User-friendly interface with Lavasoft Ad-Aware Antivirus program is actually very easy and only scan "Scan" so you can start the scan process. It will not be wrong to say that the antivirus program which is working very well as performance makes only 32 MB ram consumption in the background at the time of scanning. The only bad thing is that you want to buy the full version to use all of its features. Avast! The antivirus program comes with a bundle of viruses. Avast! antivirus program in the back of the space so that we spend 3.5-4 MB ram in the bad aspect of the ad is going to say. Although occasionally showing you ads, says the full version. While I was browsing, it started to scan directly without asking anything and I did a full scan in 23 minutes. Antispam, E-mail scanning and other scans of the program with the full feature of the program you can purchase directly from the program's menus. With 2.4 MB RAM in the back area, the program easily captures most viruses. 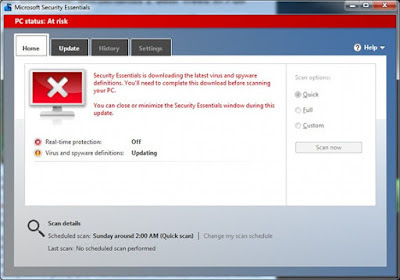 Security Essentials, which started distribution as a free antivirus many years ago by Microsoft, is a software that works very well. Perhaps this trust is made by Microsoft, but apparently as a performance in the old computers can experience a bit of trouble. 6.8 MB ram in the background. catching less viruses than others.